Italian restaurants tend to be a popular hangout for those who admire fine cuisine. If you too are an owner of an Italian restaurant, there are several things to make sure if you are to keep those customers coming back for more. Managing efficiency calls for the assistance of a POS system such as the AllianceBundle Italian Restaurant Point of Sale System. An Italian restaurant deals with a lot of special ingredients. Therefore, just to make sure that you don’t find the cooler to be empty in the middle of dinner rush, you need a quality Italian Restaurant Point of Sale System such as the AllianceBundle POS system to keep track of the inventory and ordering schedules. Just like every other restaurant, an Italian restaurant also has to make sure that the food gets delivered to the right customer at the right table well on time. This too can be managed with efficiency and minimal wastage thanks to the features offered by the AllianceBundle POS system. Italian Restaurant Point of Sale System will make sure that you are able to keep track of the process of getting food from the kitchen to the table with complete accuracy. In addition, the AllianceBundle POS system is also capable of managing special orders as well as dealing with multiple menus such as the vegetarian selection or the kids’ menu. Liquor orders and their stocks too have to be managed with extra care. What you can be assured is that there will be no mixed orders with AllianceBundle POS. Aside from serving the food, an Italian restaurant is also bound to have to deal with things such as waiting lists and reservations. Italian Restaurant Point of Sale System system is ideally capable of making sure that all these activities are managed flawlessly. Italian Restaurant Point of Sale System is also able to make sure that the billing matters, credit card swipes and other payment related tasks are taken care of with higher levels of efficiency. In addition to all these features that come in handy to manage the Italian restaurant operations, Italian Restaurant Point of Sale System will also allow you the facility to obtain reports to help you to monitor the sales, profits and expenses. This will help you to take the right decisions in order to take your Italian restaurant to higher levels of success amid the many competitors. The AllianceBundle POS system also offers marketing functions to help device marketing plans to increase your restaurant’s popularity. 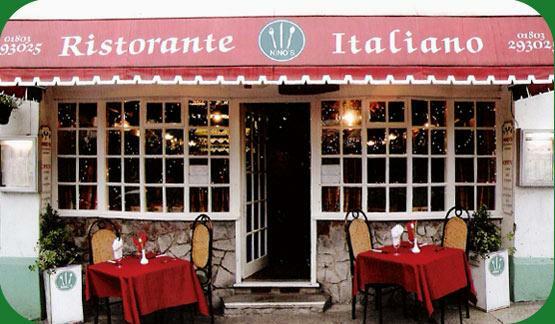 Italian Restaurant Point of Sale System is also capable of devising complimentary coupons and discount schemes as well. An Italian restaurant is among the popular hangouts for couples on dates as well as the above mentioned food lovers. Therefore, making sure that your Italian Restaurant Point of Sale System is ideally capable of making sure that the restaurant is kept spotlessly clean and that the staff members are able to devote attention to their requests is of paramount importance to keep them coming back.